Disclaimer: This is a slight ramble and a little bit all over the place. I kind of just needed to admit this to myself! I love university and I love being a student, don't get me wrong. But this Easter has taught me that I am not hugely inspired by my subject choice any more. If I could go back in time, but still knowing the things that I know now, I probably would have chosen very differently. I went back to my old secondary school at the beginning of the week. It sounds cheesy, but I always go in when I am home to catch up with some of my favourite teachers, it is so sweet to know that they are still interested and support me in what I am doing. Of course, conversation soon got on to graduation plans and my university course. For the first time, I admitted that I wasn't that interested any more. Taking sociology was definitely the right decision at the time. I didn't know what I wanted to do, too scared to actually make the plunge and say that journalism was something that I was keen to pursue. Almost 2 years on, and some of my modules are a bit of a drag and not what I expected at all. Maybe it is just the essay questions that I chose this year or the modules, but it really isn't what I want to be spending my time doing. But, there are some really interesting aspects, and some of it I am really interested in. I am not planning at all to carry on with research or do a masters or Phd in sociology. Instead, I hopefully want to go onto marketing or working in theatre, which is the next thing I will come onto. I am quite involved in societies which have made my university experience amazing. The opportunities and skills I have learnt, I think, are more valuable than what I am learning in my degree. Maybe it is the uncertainty of what a degree in sociology can do for me. I plan to use these skills to get me a job in the next year or two, not necessarily my degree. I don't know whether I am the only one that is feeling this. Am I really racking up thousands of pounds worth of debt for the experience and extra curricular skills and activities? Maybe. I'm not too sure. I'm not leaving university, I am too far in and enjoy the extras too much. But for now, I have 9000 words to write in four weeks and a whole loads of procrastination to get through. I am currently in essay hell. 5 weeks and 3 essays is totally doable right? And you have guessed it, I am currently procrastinating (as per usual) to start the first essay. I would seriously love to be in bed catching up on 2 series of Pretty Little Liars and eating my weight in chocolate. But instead, I am sitting at my desk, pretending to work. So in an attempt to motivate myself, I am writing down the things that I am most excited to do after all my essays and exams are over. Hopefully this will give me the push to work hard but play harder in summer. Of course this had to be at the top of my list. If you are a new reader, I went to the fringe with the production team of a show from university for 2 weeks, and it was seriously the best two weeks ever. I am so happy that I am going back this year for the whole 4 weeks as the PRODUCER of a show (I know, how scary!). There are lots of things to do before we head up in August, but I am so excited! I currently don't have netflix, but as a treat to myself, I am going to buy my subscription once I finish my exams. I am so ready to catch up with 'Orange is the New Black', 'House of Cards' and of course 'The Unbreakable Kimmy Schmidt' and so many other shows that I have not stopped hearing about. What I love about finishing exams at university is the fun days out that we have. No one is up for doing anything in term 3 thanks to revision and exams, and it is the perfect way to explore the area and find some undiscovered gems. Plus, saving all that money not going out during revision period can be useful for something right? I very rarely see any of my old school friends any more. I do miss it a lot. Coming home for Christmas or Easter is always a rush of trying to do work and seeing family, where in summer you have over 2 months. It is the perfect time to catch up! Yes, I am excited to get some work experience this summer. Apart from going to Edinburgh, I want to find something to do with theatre to spend a week or two to build up my CV (as I have been going through so many 'what am I going to do with my life' crisis over the past few weeks. Of course, this isn't helping by the little amount of work I am getting done!). I hope to build some contacts and hopefully get closer to my dream of working in theatre marketing. 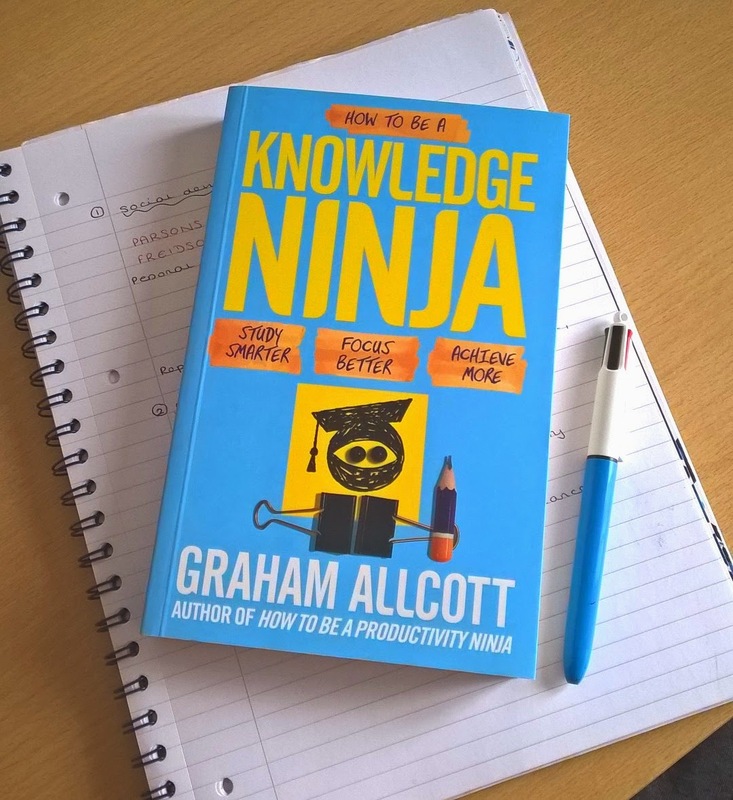 I was kindly e-mailed from 'Think Productive' who sent me the book "How to be a Knowledge Ninja" by Graham Allcott, the founder of 'Think Productive'. As I have been spending a lot of time essay writing and starting revision after the easter holidays, this could not have come at a better time! The book provides tips on how to balance and organise your studying and social life, something that I definitely struggle with! It also has exercises to do, which really made me realise all the things that I do to procrastinate. The most useful part of the book for me was to find out what kind of learner I am. 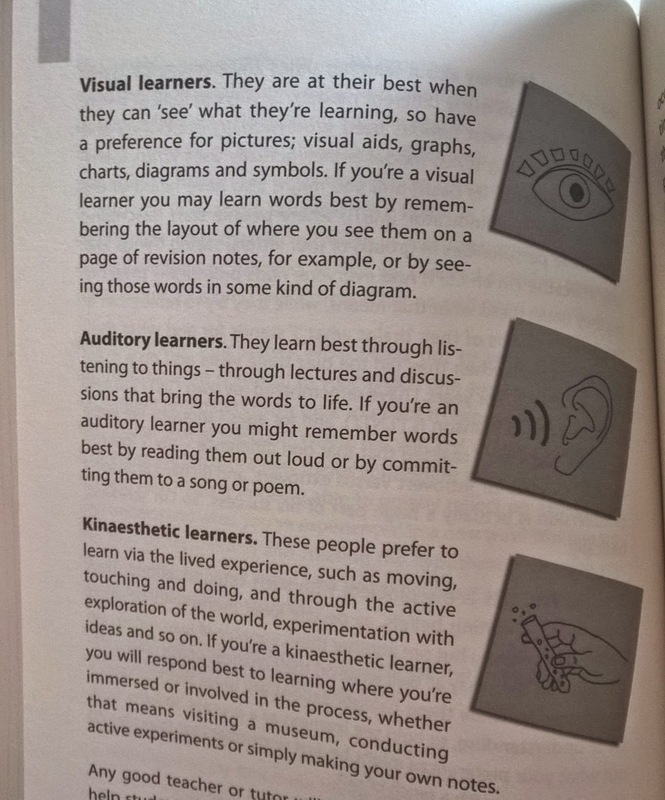 The book offers 3 types: Visual, Auditory and Kinaesthetic. I found out that I am a Visual Learner as I like to use diagrams, colours and symbols to learn and remember key pieces of information. There is then a section of ideas of how to use this information for revision tips. Most of them I already know work for me, but it can be useful if you are still finding your feet with revision. Hopefully I can use this to the full potential once I start revision, as I find spider diagrams really useful! The book also has some ideas for how to approach your lectures, how to work through your reading lists and tips for group work and presentations. All essential stuff for a university student! And Finally… Procrastination. If you have been reading my tweets or my blog for a while, you will know that I am the queen of procrastination. So I thought I would give some of the ideas in a book a go whilst I essay write. Going dark refers to the turning off of electronic devices etc that could be used to distract us. I definitely use my phone to check twitter, facebook and e-mails, even though I know they will still be there in a few hours. The annoying thing about essay writing is that I am on my laptop, therefore the prospect of going dark can't really work. I did turn my phone off though and found that this really helped! The next strategy I tried was setting a timer. The book suggests to use a timer of 25 minutes to get started on a project that you don't really want to do. Whilst reading for an essay, I set a timer for 25 minutes to carry out without any distractions to see how much that can be done. 25 minutes doesn't seem too daunting does it! I found that once the 25 minutes was up, it was much easier to continue productively. This is one that has definitely helped. I find working at home really hard when I am by myself. When my flatmates are in and are all working, it makes me feel guilty for procrastinating and not doing any work. 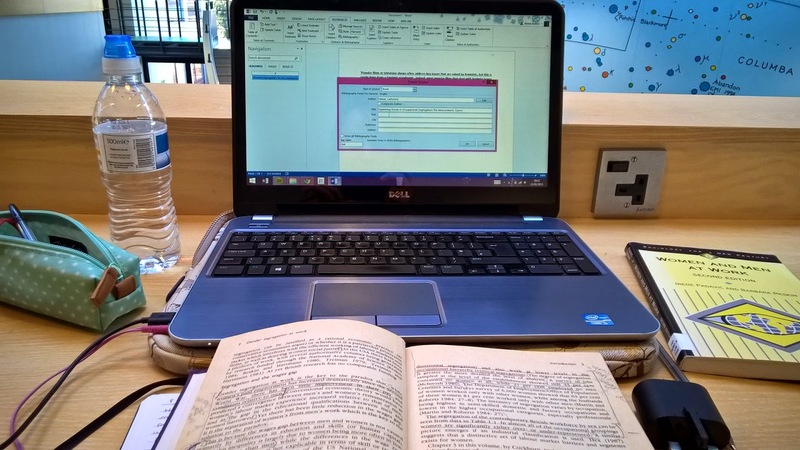 Also working in the library also helps as seeing lots of other people working keeps my focussed. 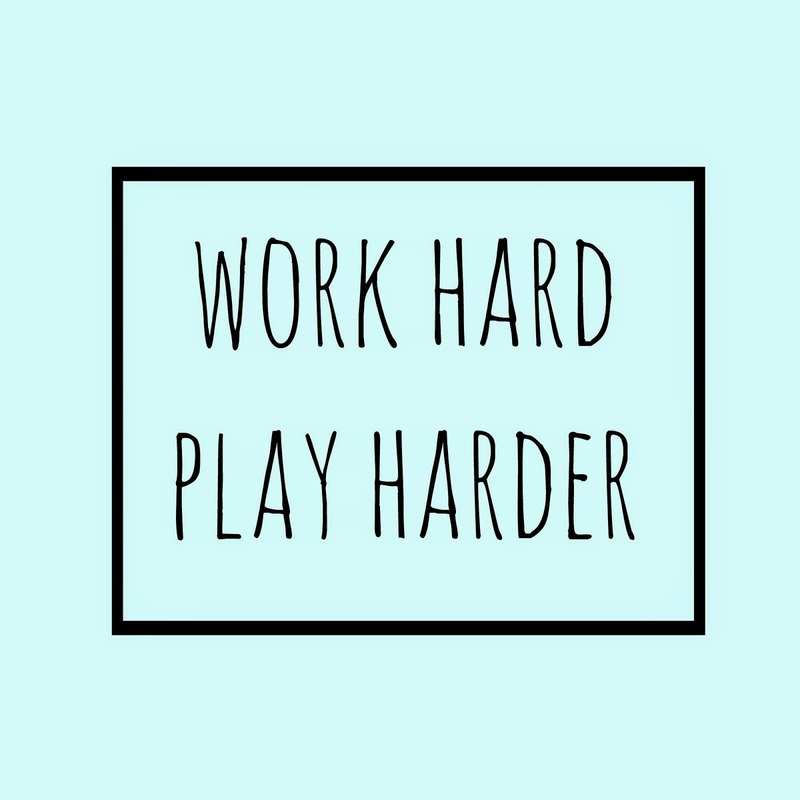 I think that many of the techniques and ideas will help me with once I start revision as well as other general tips for essay writing, tackling exam stress and taking lecture notes, all useful things for a university student! The book is £8.75 from Amazon, buy it here! And a huge thank you to Think Productive for sending me a copy!